Be Careful What You Are Buying: What Do Those Codes On Stickers Of Fruits And Some Veggies Mean? Most people regard them as a nuisance, but the stickers or labels on some fruit and vegetables stand for a different purpose than just helping scan the price at the checkout counter. The sticker has a PLU code, or a price lookup number, which also gives information on how the fruit was grown. By reading this code, you can determine if the fruit was genetically modified, organically grown or produced with chemical fertilizers, fungicides, or herbicides. If there are only four numbers in the PLU code, it means that the produce was grown conventionally or “traditionally” with the use of pesticides. The last four letters simply determine the kind of vegetable or fruit. 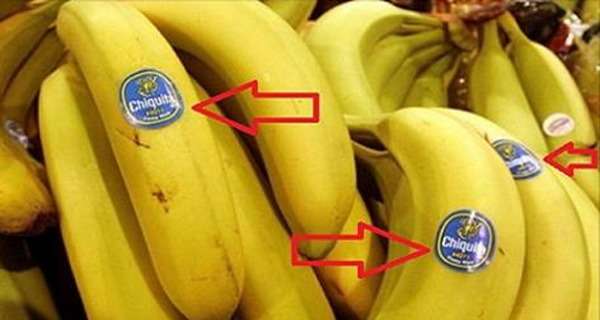 For instance, all bananas are labelled 4011. If there are five numbers in the PLU code, and the number starts with “9”, it means that the produce is organic and is not GMO. For example, an organic banana would be 94011. If there are five numbers in the PLU code, and they start with “8”, it means that the produce is genetically modified. Be cautious that GMO fruits and vegetables beat organic ones as it’s impossible to buy organic produce grown from GMO seeds. A genetically engineered (GE or GMO) banana would be 84011.